A number of themes are evoked in the different museums in the town. The Giants'House accompanies the atmosphere of the region’s festivities, especially the ducasse. In the different rooms, gigantic characters bear witness to the fervour of the processions both here and elsewhere. 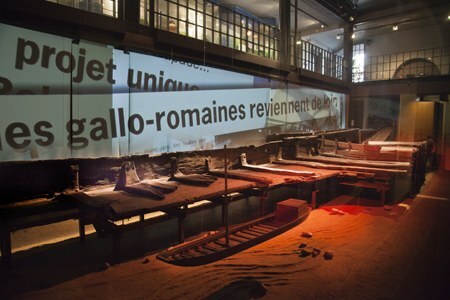 In the Gallo Roman Museum, the theme of the life in a village in our regions 2000 years ago is evoked with two boats from antiquity. The barge, in the celtic tradition, figures among the "Treasures" of the Wallonia-Brussels Federation. The Maffle Stone Museum has found a home in the former quarry masters’ house in the heart of a green, leafy site. Here you can discover stone-cutting techniques and the living conditions of the quarry workers. The Jeux de Paume Museum highlights the Jeu de Balle, a ball game that is very popular in our regions, by illustrating its historical, sociological and ethnographical aspects in an entertaining way.